Not every thoroughbred, no matter how illustrious its bloodlines, is destined to become a top-class racehorse. Through injury or lack of ability, some might never make it to the racecourse at all. But thoroughbreds, as they have proved time and time again, are versatile creatures and can excel in other disciplines, such as eventing, polo or in the hunting field. Some can even just make the perfect hack or riding horse for riders of a decent standard who have had some experience with this exceptional breed. The Godolphin Thoroughbred Rehoming Programme operates from Badlingham Manor on the outskirts of Newmarket. We rehome geldings only, some of whom have raced and have perhaps had their careers curtailed by injury, and others who have simply not made the grade. In Spring 2015 we rehomed our 200th horse and among those to have successfully found new homes are Gold Cup winners Papineau and Colour Vision. “Thanks to Sheikh Mohammed’s generosity, we are in the enviable position of being able to provide a happy future for our horses at the end of their racing careers. Whether that is retraining them to become event horses, or finding them a non-ridden home for life, the most important thing is what is best for the horse.” Says Kate Grimwade, Darley’s pre-training manager who works closely with the team at Badlingham. At Badlingham, horses coming straight from training centres are generally given six months turnout as a winding-down period, which could be longer in the case of those recovering from minor injuries. 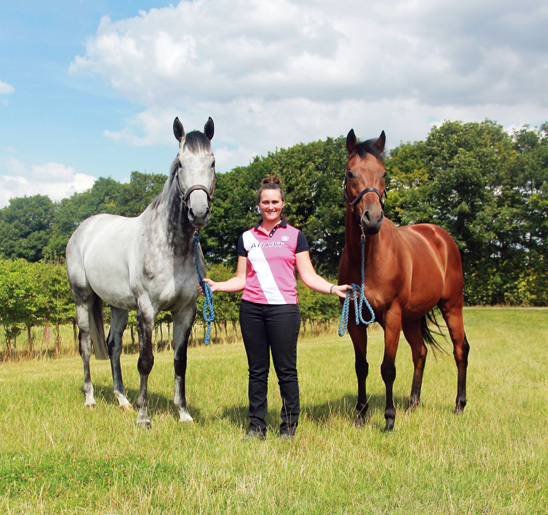 The excellent team of staff at Badlingham, which is headed by Jo Brisland, will then start their retraining programme, ensuring each horse is suitably schooled before being rehomed. The horses are rehomed on a three-month trial basis, at the end of which they are visited in their new surroundings. At the end of a successful trial period, the horse can be purchased for a flat fee of £100 under the terms of the Weatherbys non-racing agreement. For more details on the scheme, please see www.godolphinlifetimecare.com. 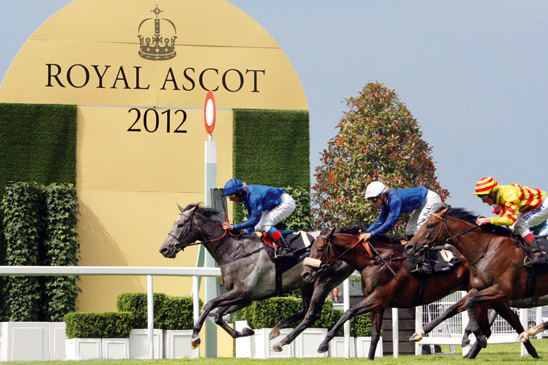 The Ascot Gold Cup, the longest G1 race in Britain, was fought out by two Godolphin colour-bearers. But, after the trophy presentation, what happened next? And here are Colour Vision and Opinion Poll, having been retrained by Godolphin for their future careers.